There's more than one Sessions coming for your weed. 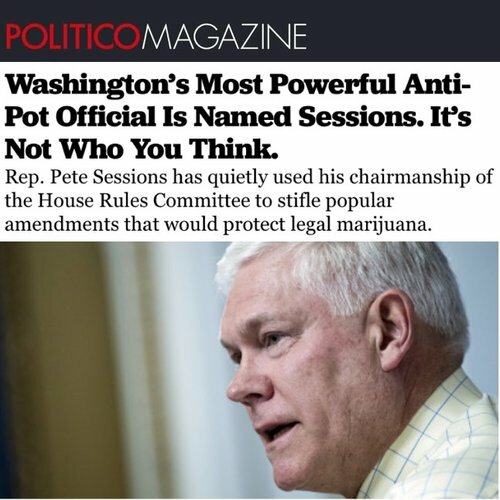 We smoked Pete SESSIONS Out of Office! Only 80 of these exist! Get your piece of prohibition at jeffsesh.com. Chairman Pete’s fate rests with voters in Texas’ 32nd Congressional District, which covers much of North Dallas. We shipped several hundred packs to activist groups on the ground there to get out the vote, and the remainder of this very limited run are available now for $5/pack at jeffsesh.com. 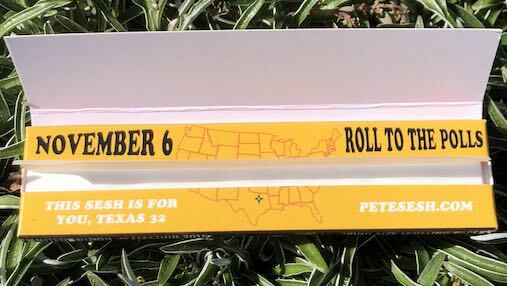 To rally the canna-friendly vote against Pete Sessions and raise awareness of the rare chance to win, the makers of General Jeff’s Session Papers are out with a new edition of collectible “trolling papers” just in time for the election. The target is Texas congressman Pete Sessions (no relation to Jeff). 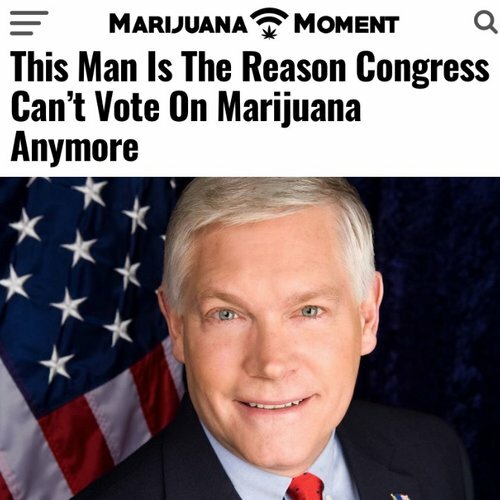 As chairman of the House Rules Committee, Pete Sessions has blocked virtually all new cannabis laws from consideration by the full house since 2016. And there’s good reason to think that will continue if Pete wins another term. Isn’t this why we have two-year terms? Pete’s already served 11 of them. Enough. 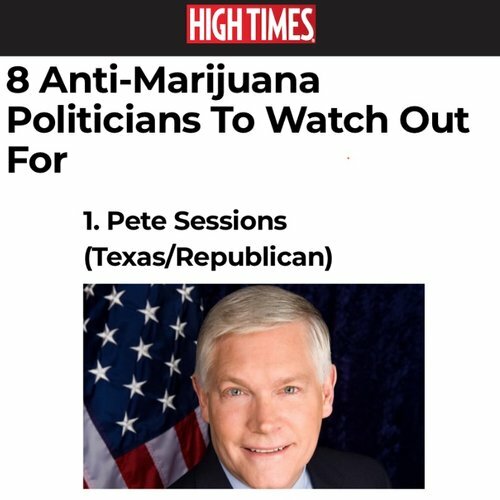 It’s time to have a #PeteSesh and send Pete Sessions home in a cloud of smoke. We hope these packs help you urgently spread the word about Chairman Pete before election day, and get out support for Pete’s challenger, Colin Allred. Read on for more ways to have a #PeteSesh and contribute to this fight! "The full U.S. House of Representatives hasn’t voted on any marijuana amendments since 2016, and it’s largely because of one man." "Pete Sessions has made himself the No. 1 target of drug policy reformers in the 2018 general election." "I’m a lifelong Republican and will certainly not be voting for [Sessions] ever again." "He’s got this personal viewpoint; he’s just personally against it. And there’s nothing that’s going to change his mind." If you’re a registered voter in this North Dallas district, there’s no better way to have a #PeteSesh than by casting your vote against Pete Sessions on November 6. If you haven’t made up your mind, there are two other candidates for you to choose from, and both support cannabis law reform. We’re supporting Colin Allred because he has a realistic chance to unseat Pete, but a vote for either challenger counts as a #PeteSesh. Even if you live in another district, you may still be able to volunteer. Live in the area but not sure if Pete Sessions is your representative? Find your district here. Only a few hundred thousand Americans are lucky enough to have a vote in this major race, but millions of us are eligible to donate money or volunteer time. By far the easiest way to have a #PeteSesh is by giving a dollar or more to the campaign of Pete’s most viable challenger, Colin Allred, either through our ActBlue fundraising form or directly via Colin’s campaign page. Check him out. Civil rights attorney, former NFL player, moderate Democrat, pro-pot… way better than Pete Sessions. Polls show him appealing to independents. Grassroots donations like yours in any amount can help Colin sustain his campaign through Election Day and help fight the bottomless corporate money machine fueling Pete Sessions’ campaign. Got time to donate? Do it. Inquire directly with a candidate—their sites are in the section above. The goal is the same: unseat Pete and remove one of the final roadblocks to national marijuana legislation. Give now through our ActBlue fundraising form or directly through Colin’s campaign page! Have a #PeteSesh by sharing this with your friends and followers. Buy them a pack of #PeteSesh papers. Bring national attention to this pivotal race! #PeteSesh #JeffSesh #SeshResponsibly #BeatPete #BeatSesh #DefeatPete #SafeSesh #ColinAllred #TX32 are all relevant tags. Have a #PeteSesh today and help end the reign of Chairman Pete.